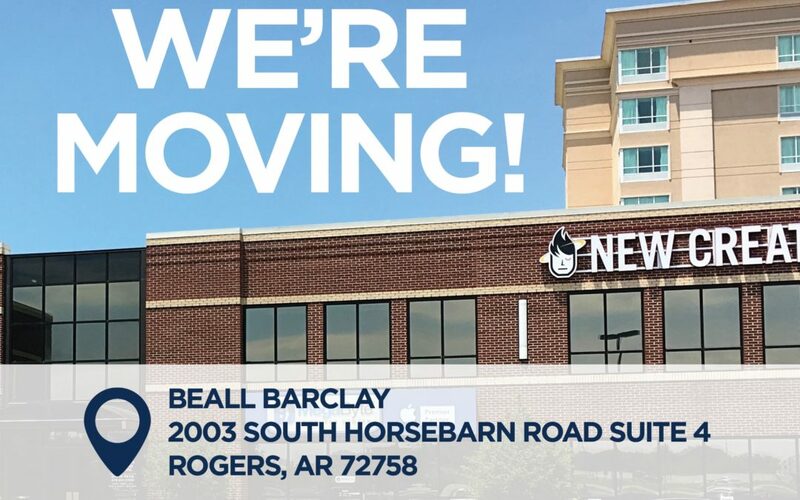 ROGERS, Arkansas, June 19, 2018 —Beall Barclay & Company, one of Arkansas’ largest locally-owned CPA firms, and Beall Barclay Wealth Management will move their Rogers office to a new location on 52nd Street June 22. The new office will be across from Village on the Creeks. “This is a perfect time for us to relocate and position ourselves for continued growth as we complete a merger with the Little Rock office of Thomas & Thomas later this year. The new location will enable us to serve our clients more effectively and efficiently due to its accessibility along the I-49 corridor. The visibility the location will provide for Beall Barclay will help us introduce our new name and our services to the Northwest Arkansas market,” said Beall Barclay Members John Evans and Don Fitzpatrick. The 7,800 square foot space is currently being renovated to accommodate more than 20 employees and includes a modern open space with informal meeting spots, offices and three conference rooms with video conferencing capabilities.